The Algarve’s Golden Triangle offers property buyers a choice of world-class resorts, golf courses and beaches, with glitz, glamour and year-round sunshine. The Algarve’s Golden Triangle is an easy 20-minute drive from Faro airport. The area offers beach life, sports and everything you need for luxury living including 5-star hotels, golf courses, upmarket boutiques and a Michelin-starred restaurant for every day of the week. The Golden Triangle consists of the resort areas of Quinta do Lago and Vale do Lobo, and the towns of Almancil and Quarteira. Frankly, its borders can be a little elastic as everyone wants to be inside it, but it certainly includes Vilamoura and Vila Sol. It’s how the other half lives, but there are still options for those with thousands rather than millions to spend. Even by the already high standards of the Algarve, the Golden Triangle is distinctly “high end”. It’s an area of prime real estate, where celebrities and sports stars are among those who have purchased multi-million-euro villas, including Jose Mourinho, Alan Shearer, Bonny Tyler and Duncan Bannatyne, protected from the hustle and bustle of everyday life by private roads, gates, security and an army of domestic help and gardeners. It’s how the other half lives, but there are still options for those with thousands rather than millions to spend. If you are ready to buy in the Golden Triangle, check out our property listings by clicking here. Quinta de Lago is a golf resort and residential estate, where the whole ambience feels cool, luxurious and hassle-free. 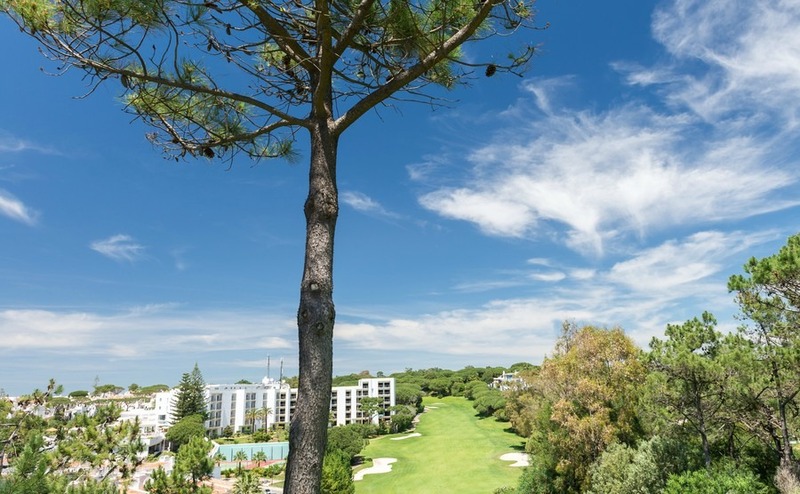 There are three golf courses on-site, nestled between the stunning villas and luxury hotels that include the renowned Conrad Algarve. Quinta do Lago is also home to Quinta Shopping, a large mall filled with luxury boutiques, restaurants and designer labels. Nobody would claim Quinta do Lago feels particularly Portuguese. The area caters to an international crowd and has some similarities to upscale parts of Florida, but for luxury living just a stone’s throw from the beach, it ticks all the right boxes. Although villas in the resort itself start at higher prices, you can buy in the area around Quinta do Lago from €325,000 for a villa and below €200,000 for a small, apartment with shared pool and gardens. Almancil is a surprising part of the Golden Triangle, because it feels like a traditional Portuguese town including working areas that haven’t been given the traditional tourist polish. However, once you notice the luxury cars, designer furniture stores and the gourmet supermarket (Apolonia), you’ll realise you’re somewhere quite different. Almancil feels like a traditional Portuguese town, but with posher restaurants. Almancil is a working town, and the place people in the resorts head to when stocking up for barbecues and dinner parties. However, it’s also dotted with plush restaurants and other amenities including banks, a doctor’s surgery and a post office. The Golden Triangle, where the golf course meets the beach. 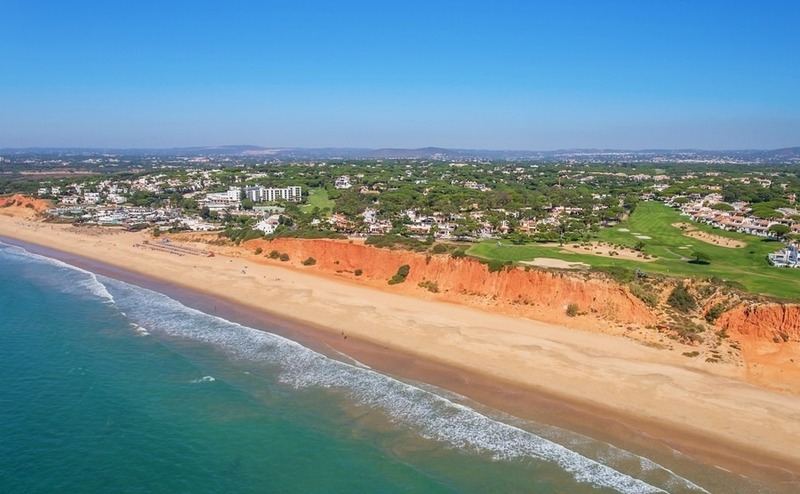 Similar to Quinta do Lago, and essentially adjoining it a little further along the coast, Vale do Lobo continues the region’s luxury feel. There are two more golf courses here, both of which sit on the cliff top and offer stunning ocean views. Tennis is particularly popular here too. The Golden Triangle has been a popular option for overseas buyers from outside the European Union obtaining a “Golden Visa” via the option of buying €500,000+ property. 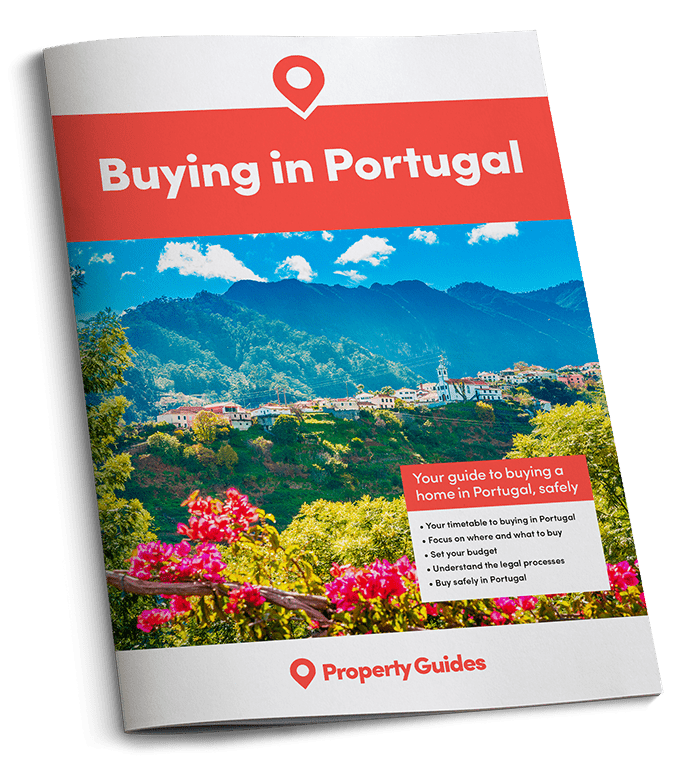 While post-Brexit this may become an option for the British too, download Your Guide to Living in Portugal After Brexit for more advice. Prices for two-bedroom flats vary from €200,000 to €1.2million, with villas starting at around €350,000.